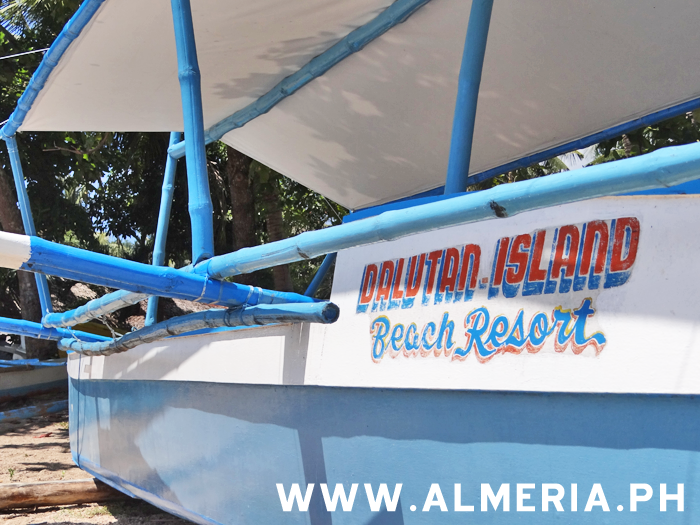 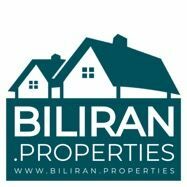 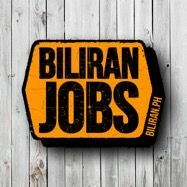 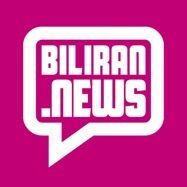 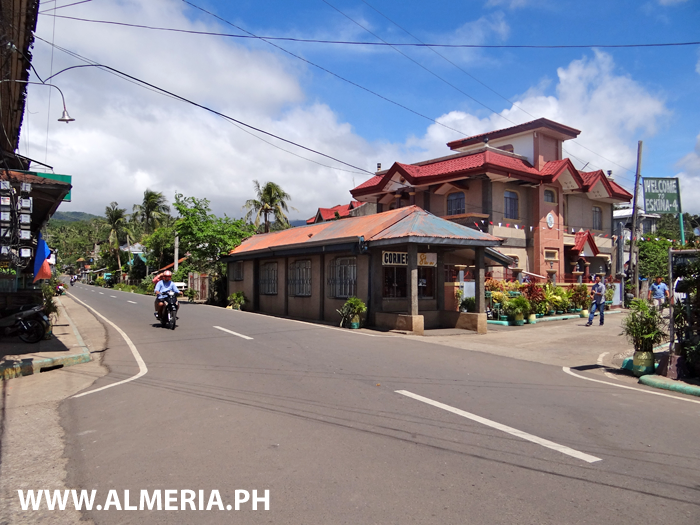 Shelle Travel, Tours & Ticketing Center in Almeria Town, Biliran Province. 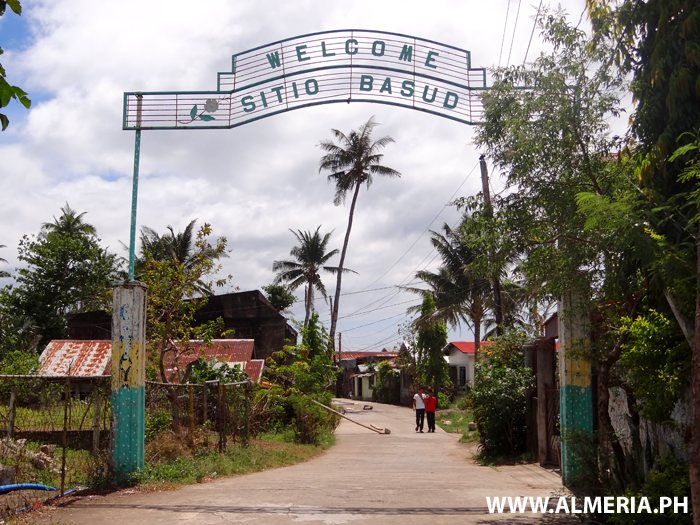 Entrance to Basud Sitio in Almeria Town, Biliran Province. 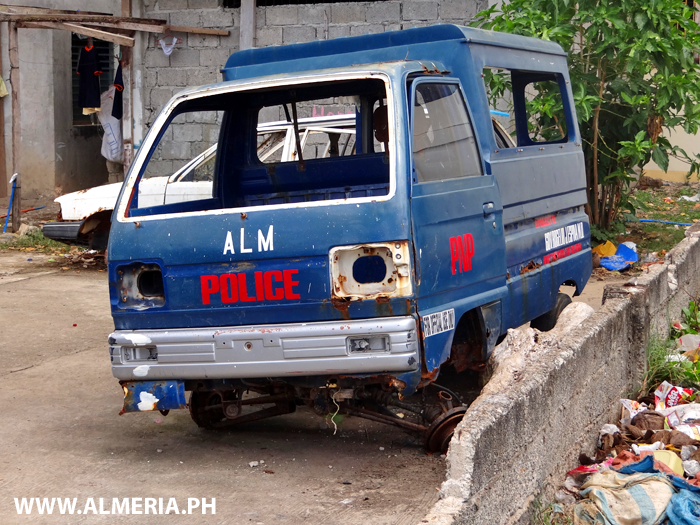 Almeria Police high speed pursuit vehicle? 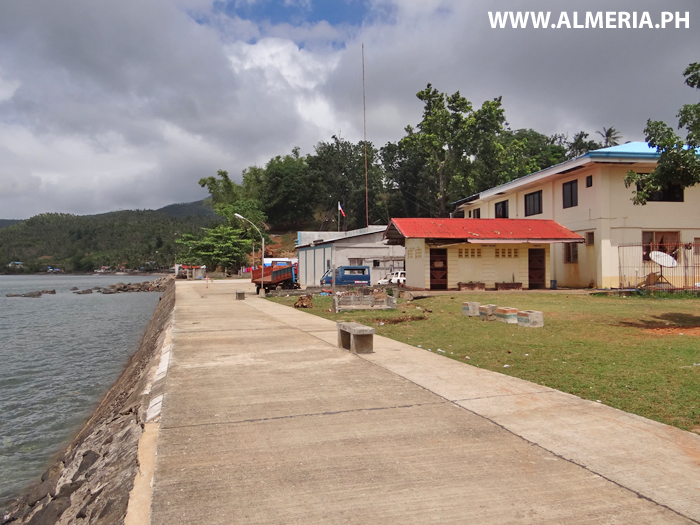 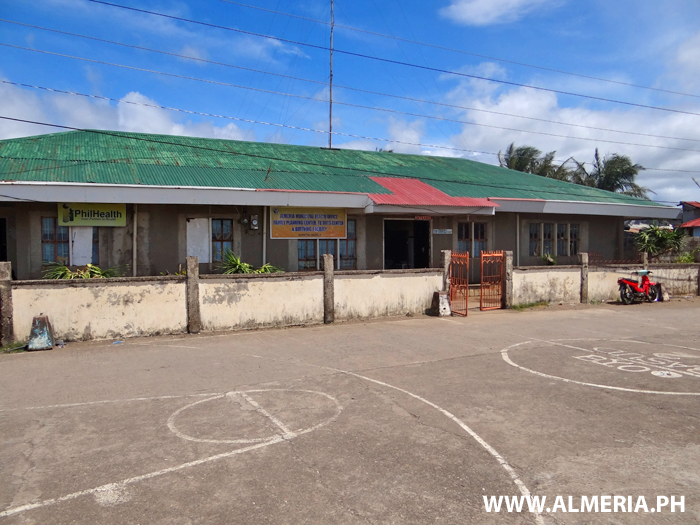 Almeria Municipal Health Center located in Basud Sitio, Almeria Town, Biliran Province. 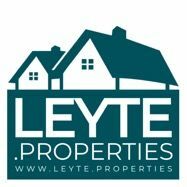 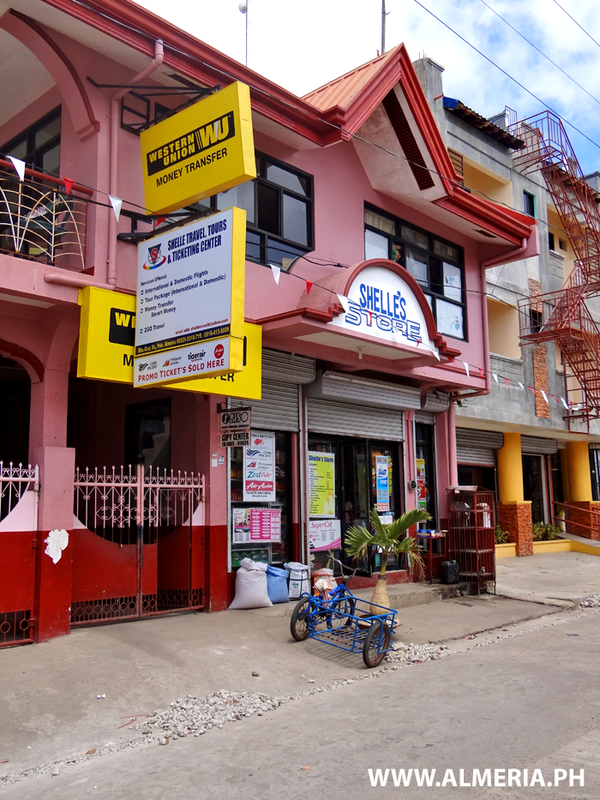 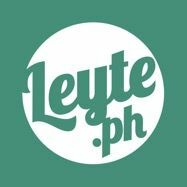 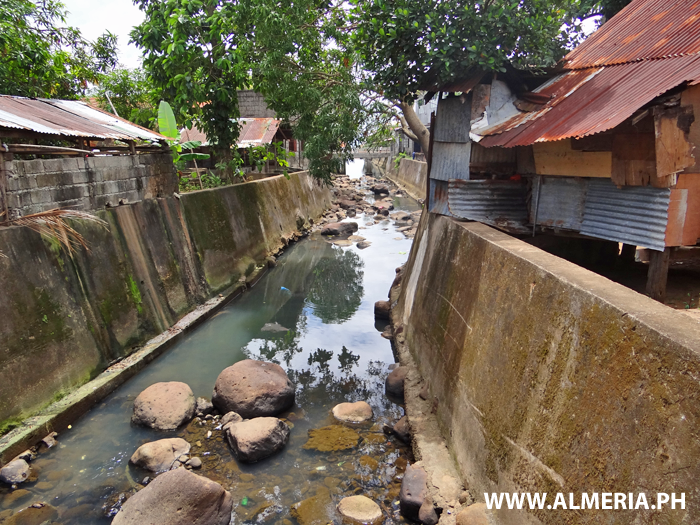 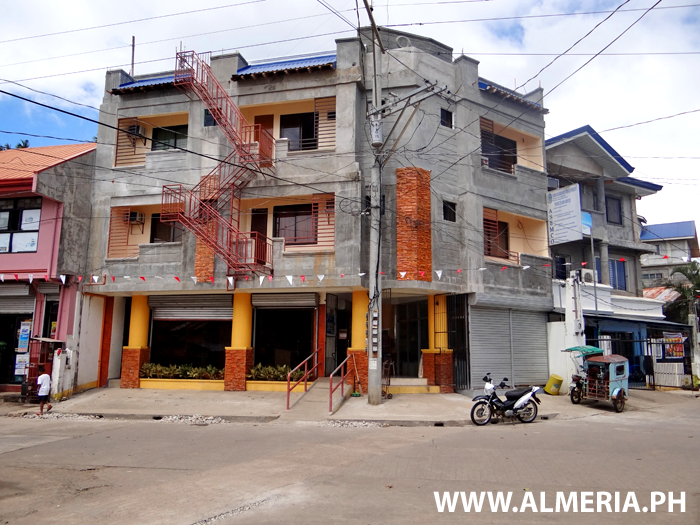 Asemco Hostel in Almeria Town with five available rooms ranging from P600- P1,000. 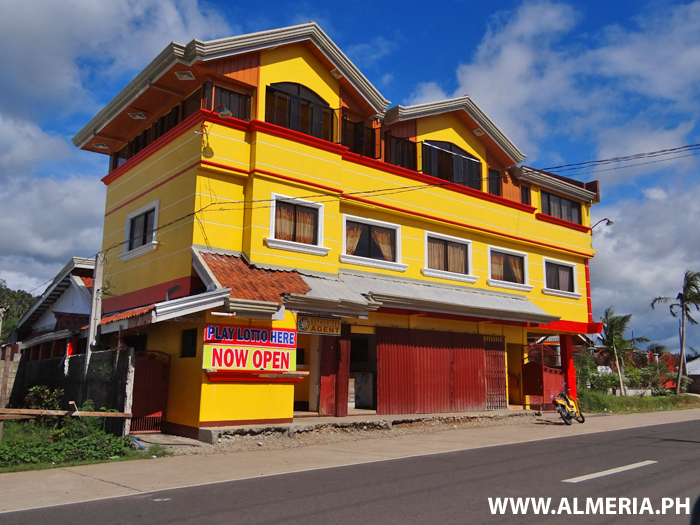 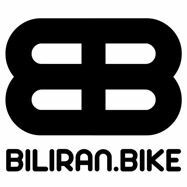 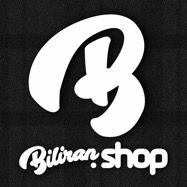 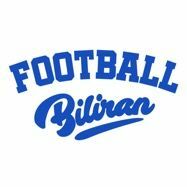 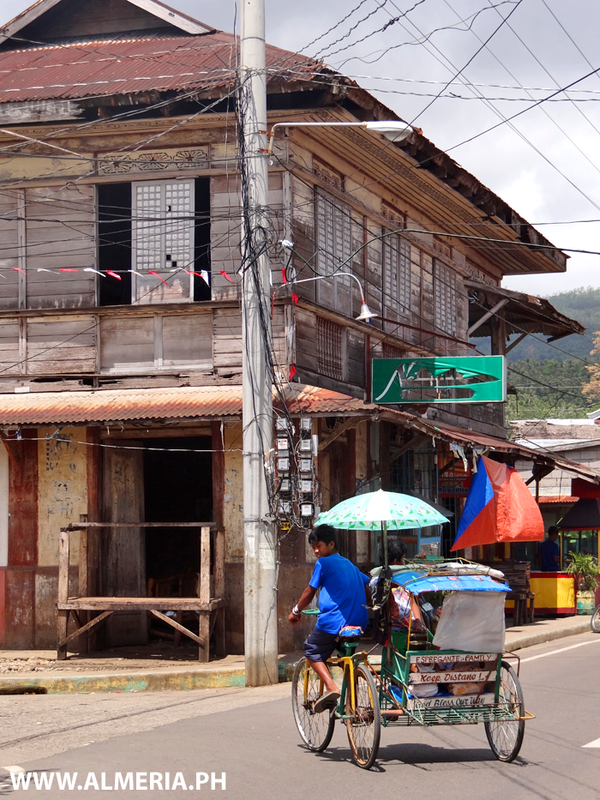 Corner Store in Almeria Town, Biliran Province. 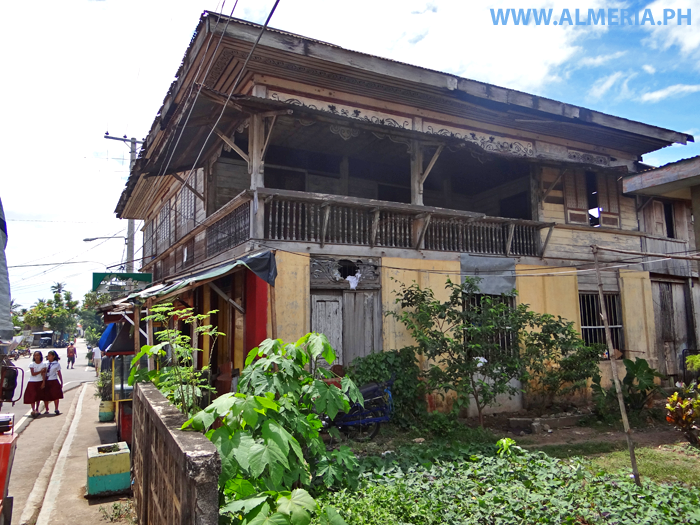 So many of these old historic houses are now badly neglected and could be lost for future generations. 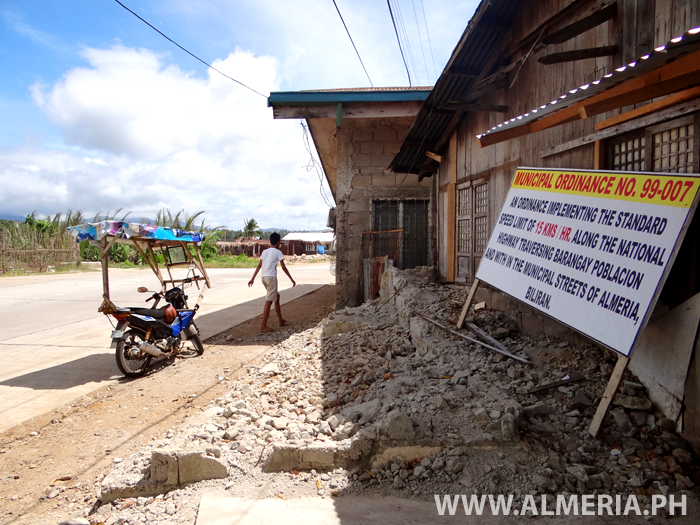 This house in Almeria Town is still in pretty good condition, but its starting to show signs of unrepaired typhoon damage. 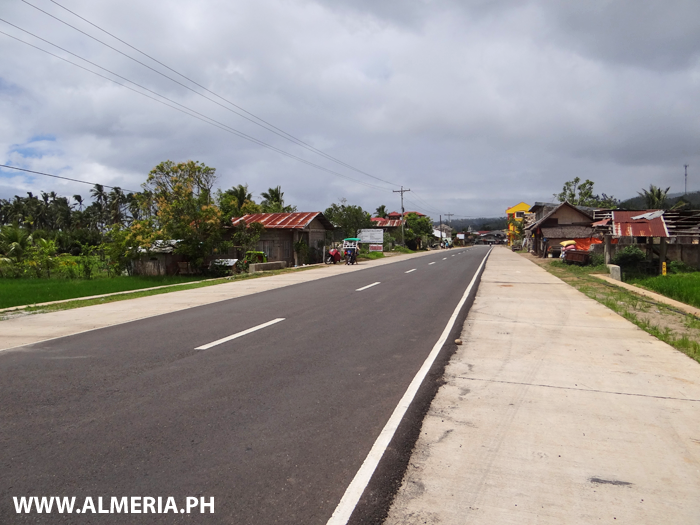 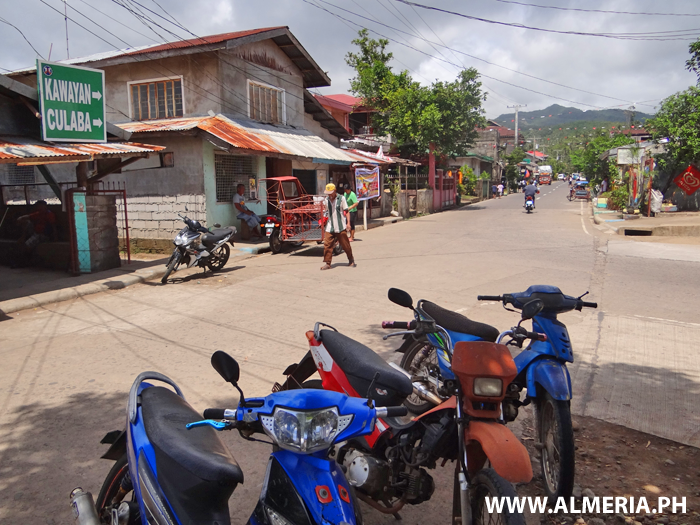 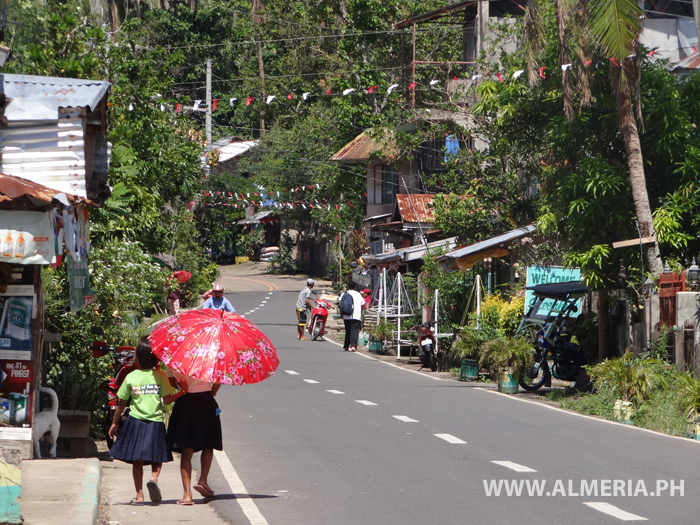 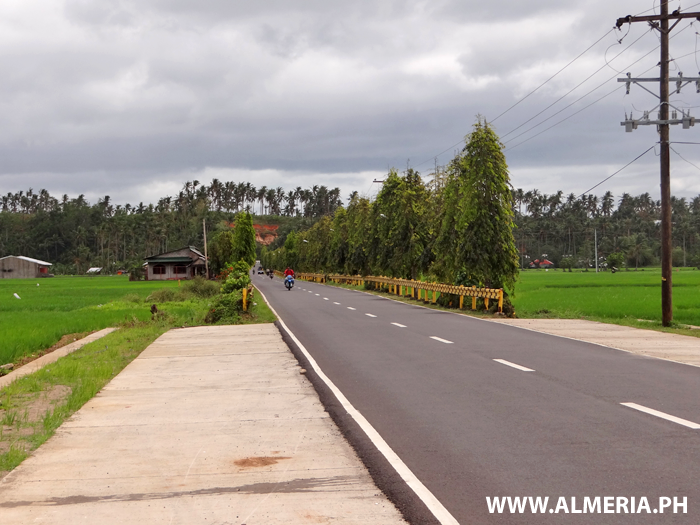 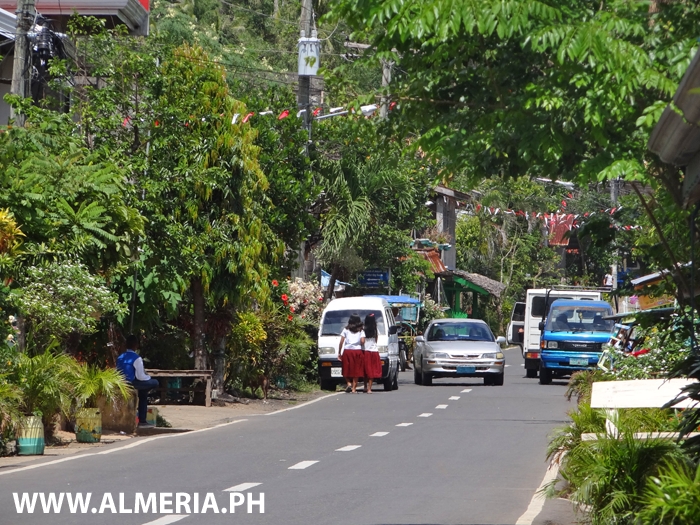 The main road through Almeria Town, Biliran Province. 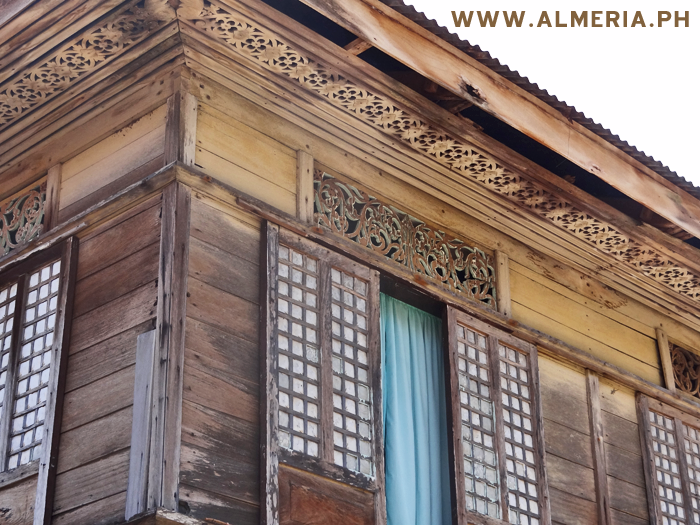 A Traditional old house with beautiful cut out wooden details, located in the middle of Almeria Town. 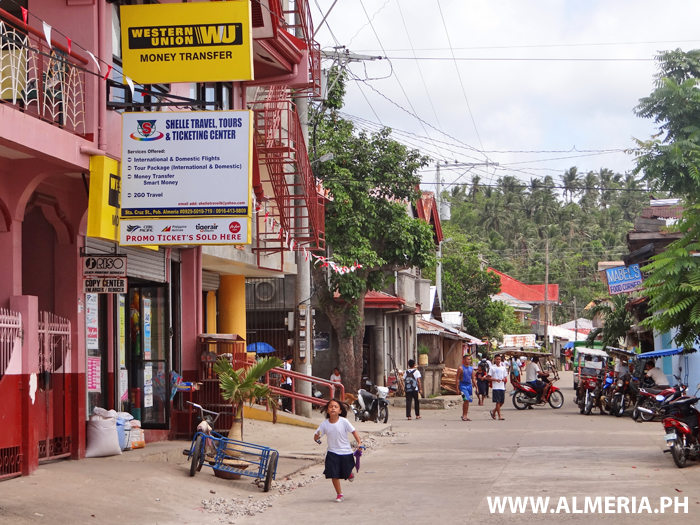 View along the street in Almeria Town with Western Union at Shelle Travel, Tours & Ticketing Center, and in the distance Mabel's Food Corner. 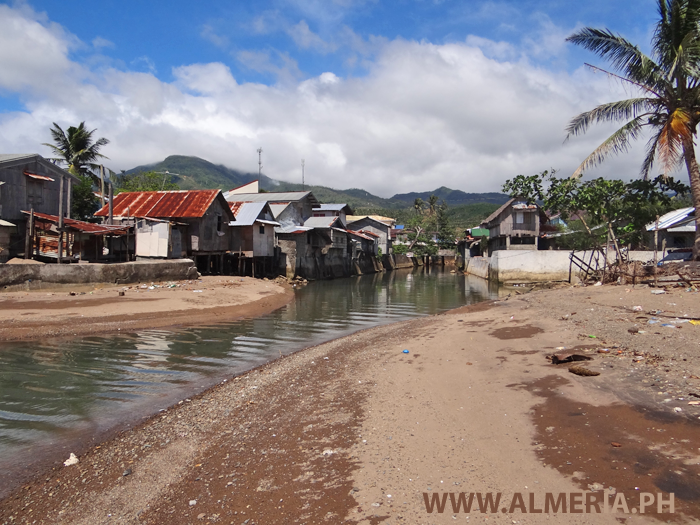 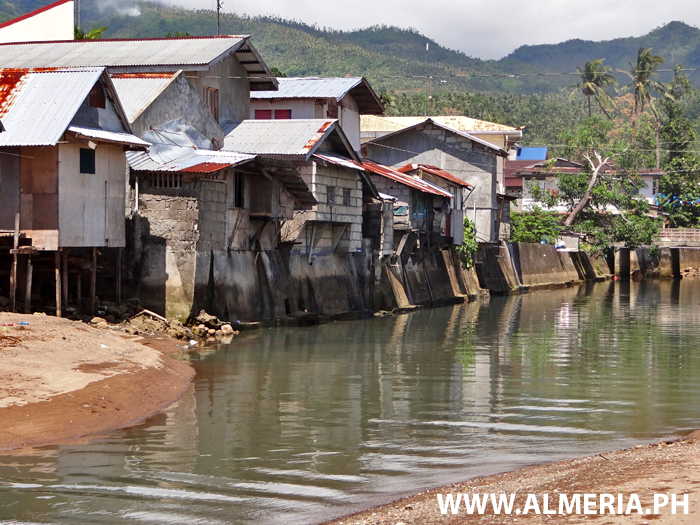 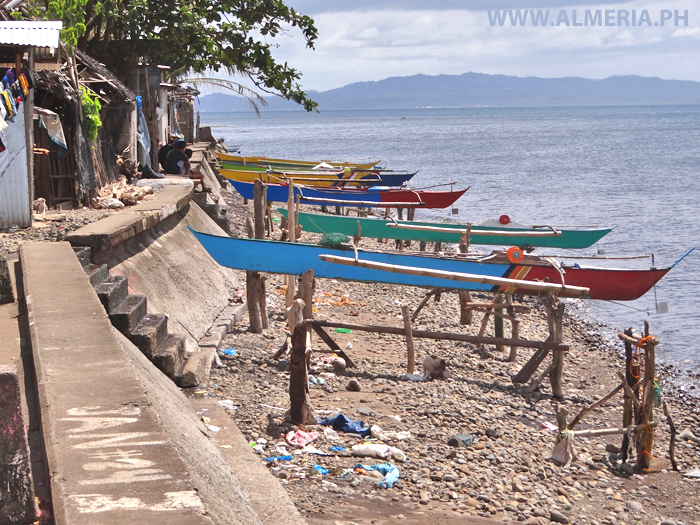 Fishing boats along the shore in Basud, Almeria Town, Biliran Province. 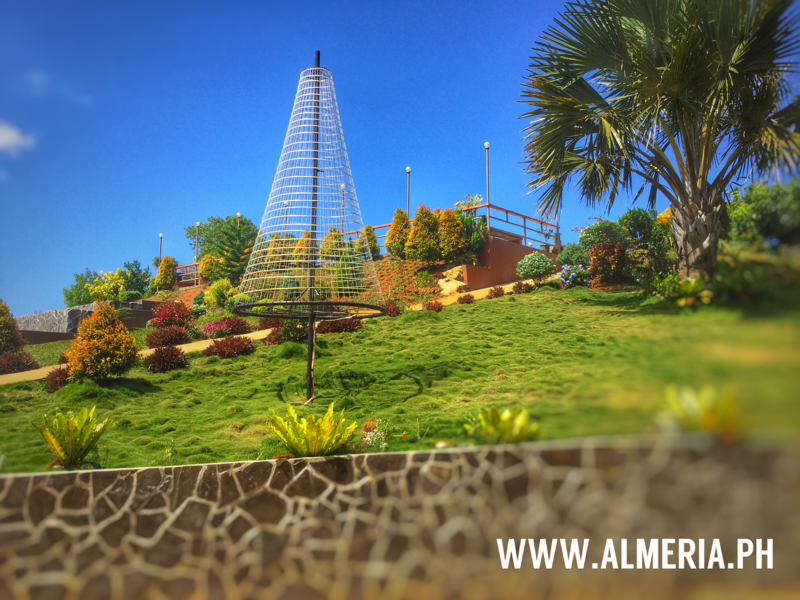 The Market building in Almeria Town and Basud Sitio beyond. 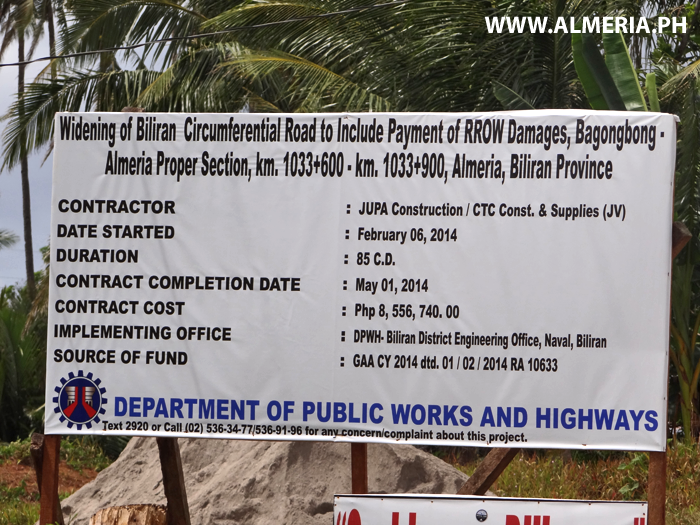 The Biliran Circumferential Road through Almeria Town, with signs to Kawayan and Culaba. 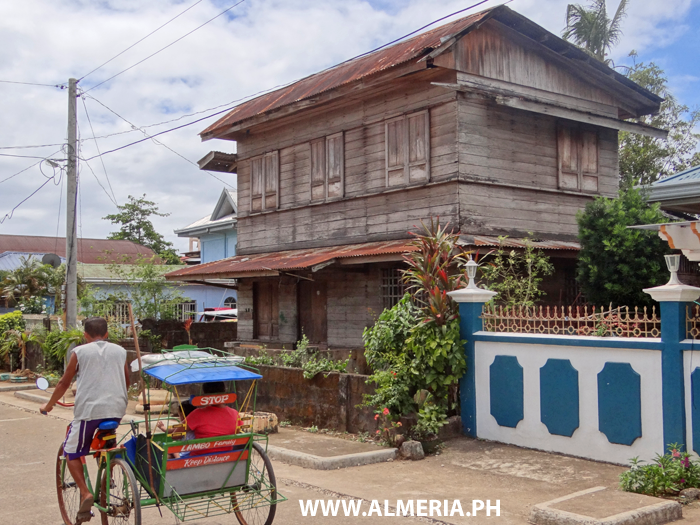 A very special old store and house in Almeria Town with really beautiful Capiz Shell windows and wooden decoration. 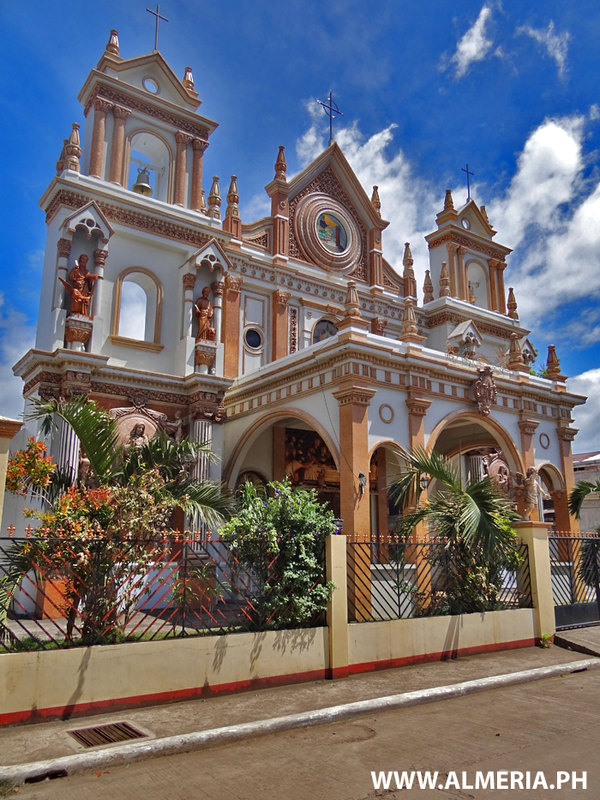 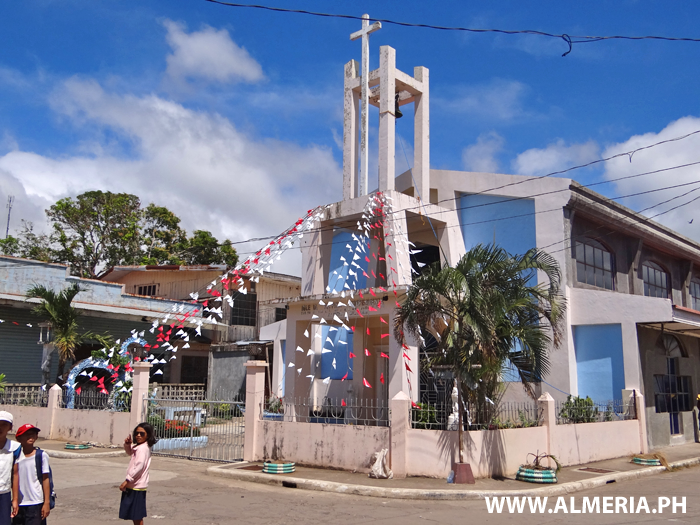 The church in Almeria Town, Biliran Province. 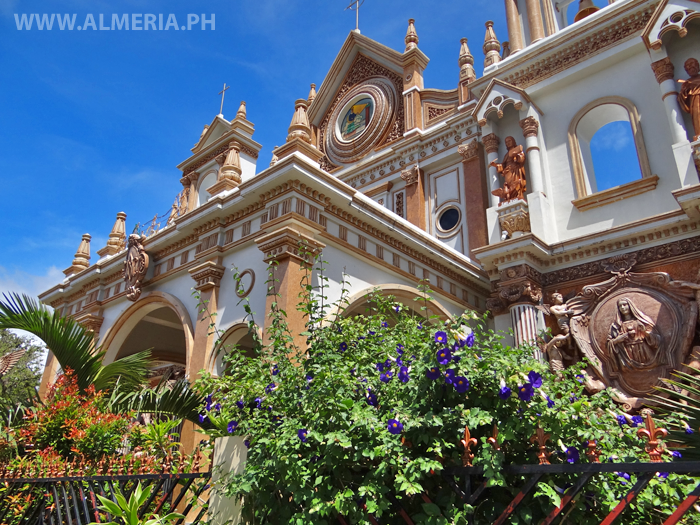 Iglesia Filipina Independiente Church in Almeria Town, Biliran Province. 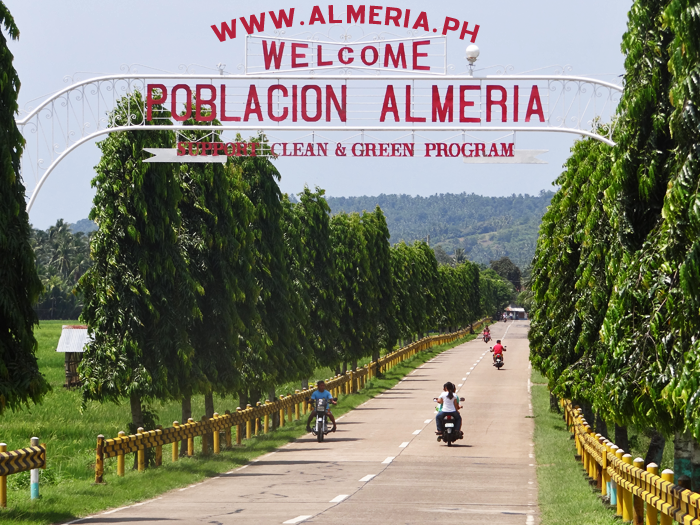 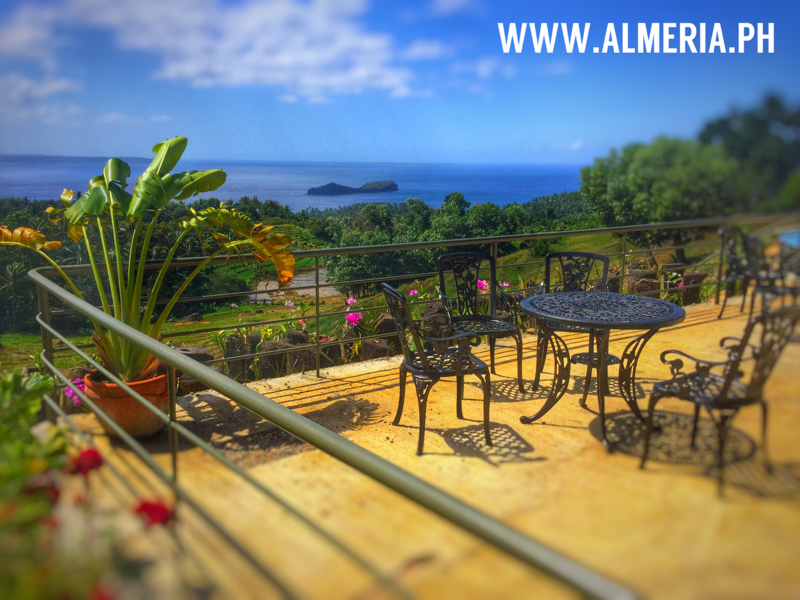 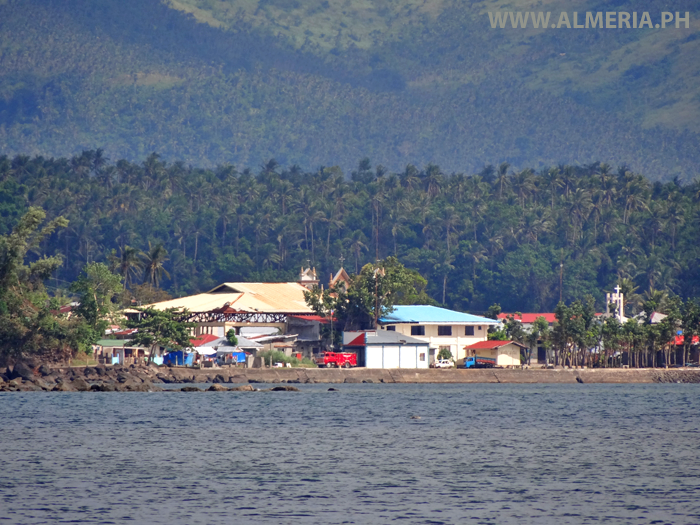 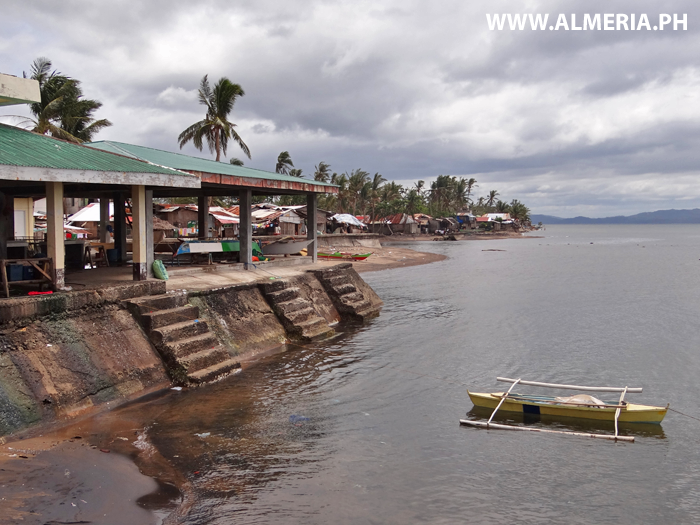 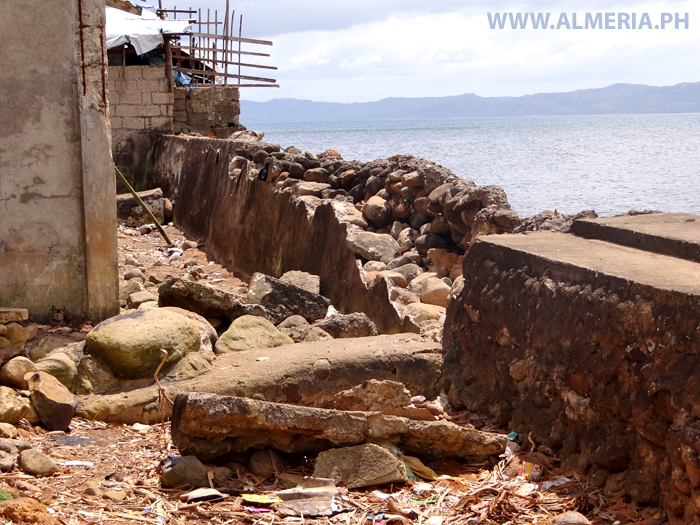 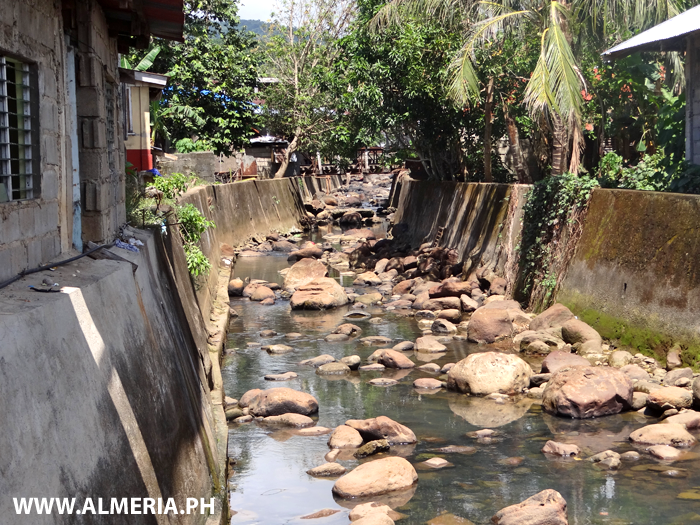 The Promenade in Almeria Town, Biliran Province.